Are you interested in reaching the highly qualified Green Markets audience? Find out more about sponsoring a webinar or target even further with a custom webinar developed specifically for your organization. This webinar addressed the issues, challenges, and opportunities for the upcoming year. After a robust fall application season, will spring ammonia volumes decline? 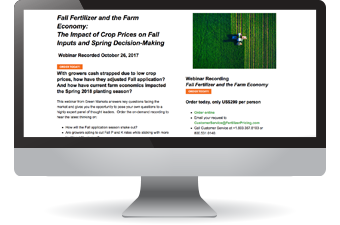 This “from-the-field” market intelligence provided by Green Markets has never been more important in your spring planting intentions! Green Markets assembled an insightful group of fertilizer and agriculture industry leaders to share their expertise on imminent issues, challenges, and opportunities facing the fertilizer industry in 2018 and beyond. Order this webinar recording and gain valuable market intelligence that will support your business decisions – from maximizing profits today to identifying opportunities and risks in the longer term. 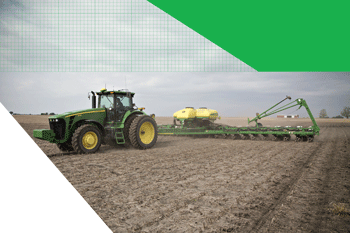 Will growers slash their corn acreage this spring? What is the outlook for crop prices in 2018? Will lower corn acreage in 2018 impact overall nitrogen rates? After a robust fall application season, will spring ammonia volumes decline? What is the 2018 outlook for agri-chemical products, with a particular focus on U.S. markets? What is the 2018 outlook for U.S. market seed products? What effect will new domestic urea capacity have on spring pricing and supply? Will domestic production cuts drive up spring phosphate prices? What are retailers doing to compete against well-funded e-commerce sales platforms? CommoditAg: Is this the wave of the future of ag retail? 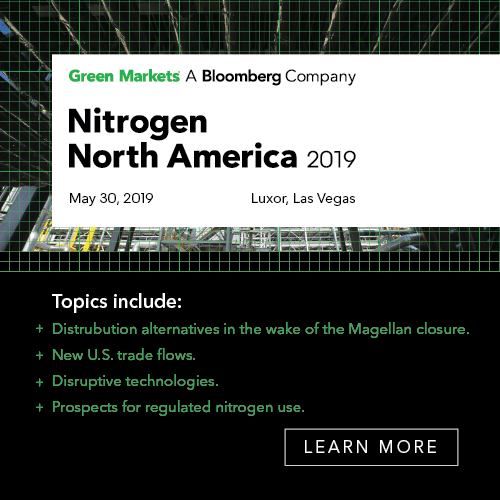 To purchase the on-demand webinar recording please contact Customer Service at 800.531.0140 (1.603.357.8103) or email GMsupport@bloomberg.net.